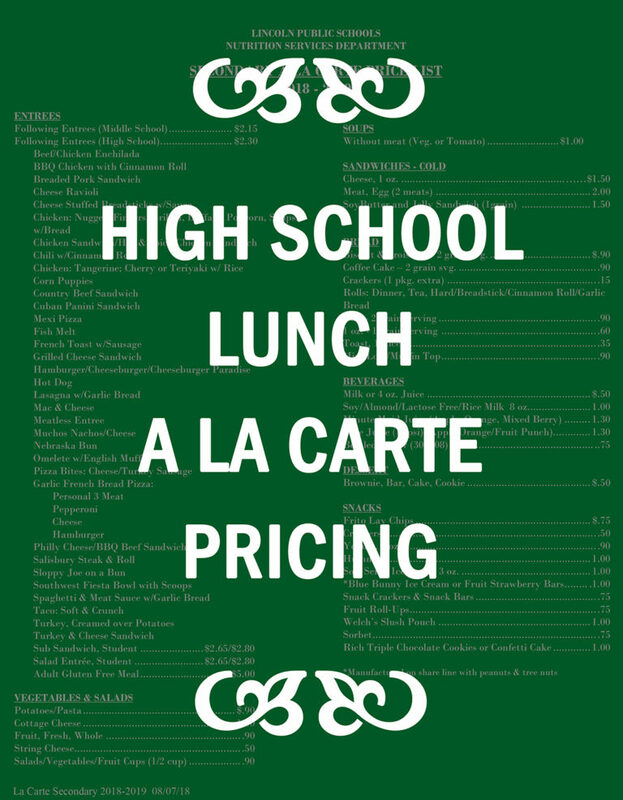 In addition to school breakfast and lunch meals, students can also purchase menu items a la carte. This may include entrees, milk for cold lunch, snacks and drinks. Depending on the grade level, different options are available. 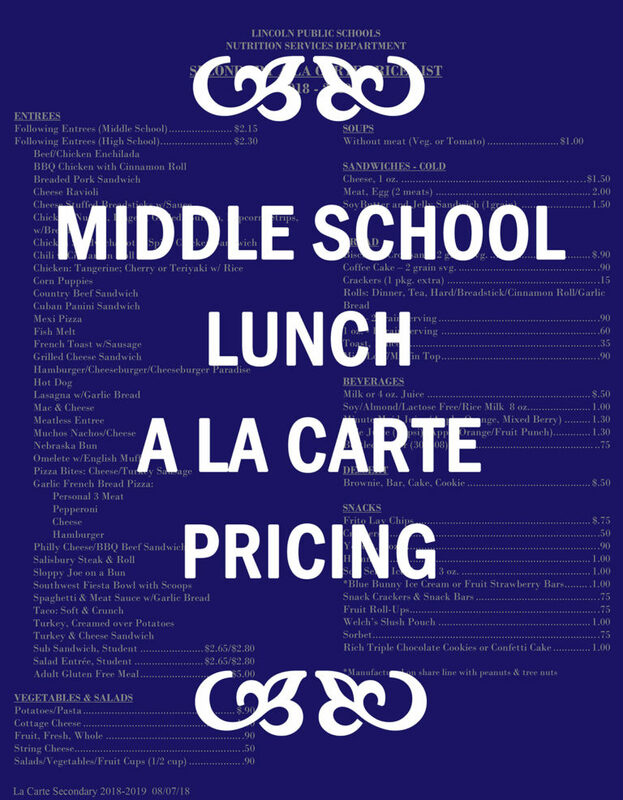 Middle and high schools sell a wide selection of baked chips and crackers, granola bars, ice cream treats, homemade desserts and bottled beverages. 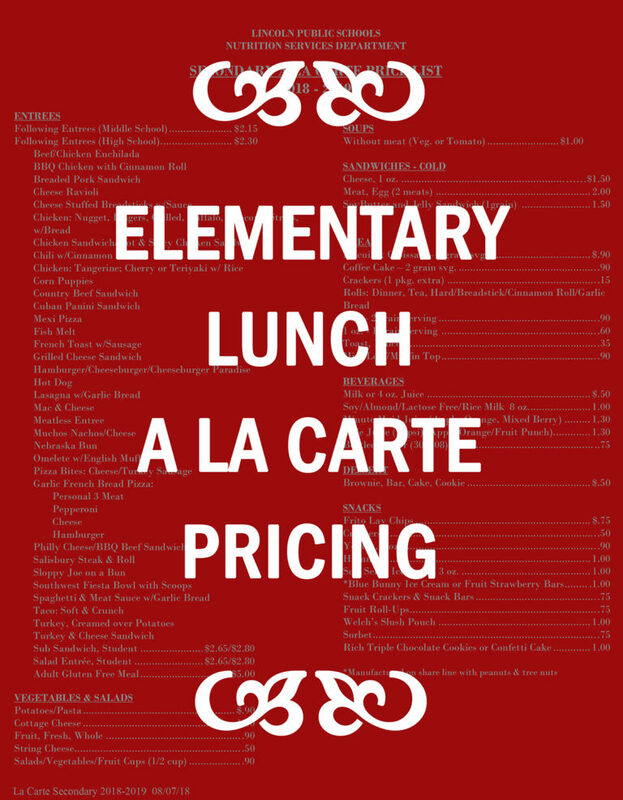 While many elementary schools offer second entrees, as well as bottled water. 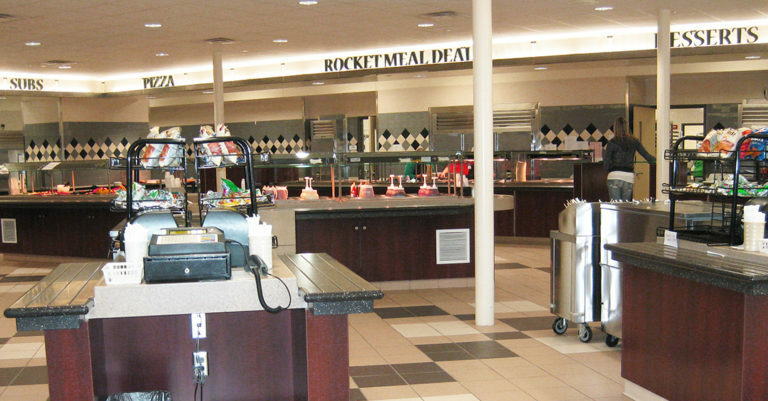 You should check with your school cafeteria as to what is available. 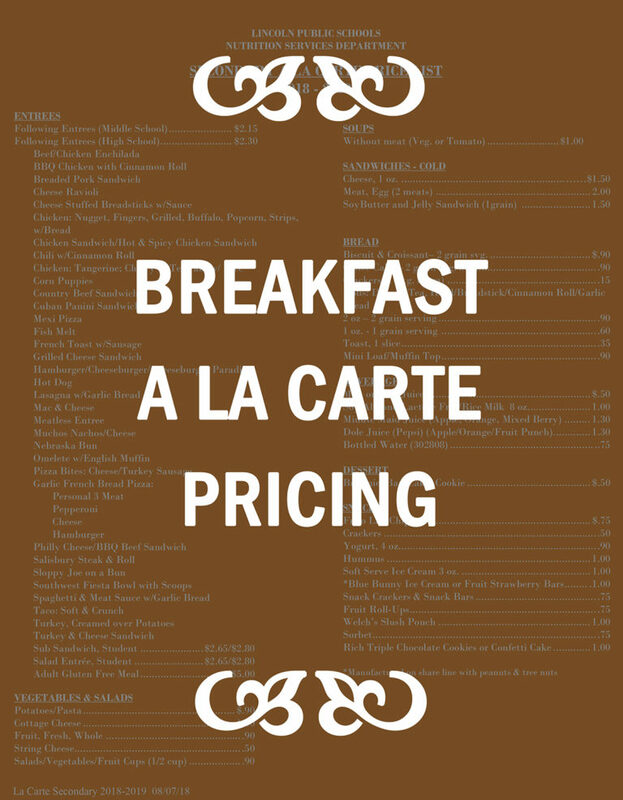 Click the price list below you’d like to view, download or print.